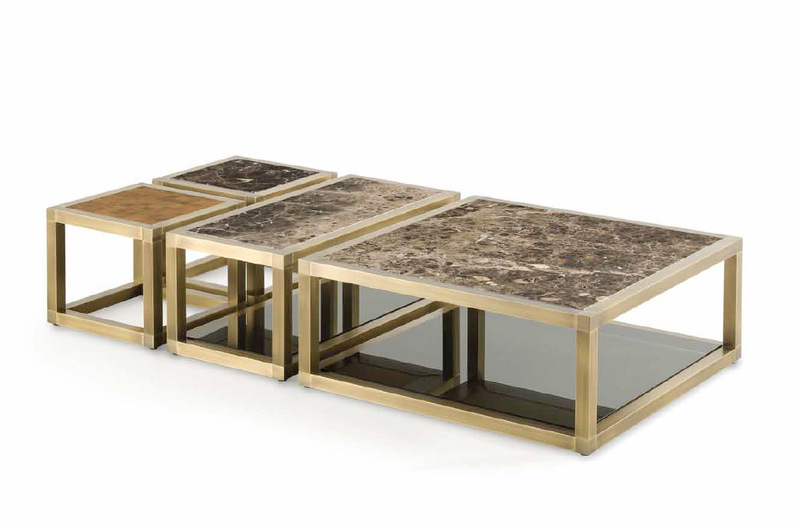 Coffee table with structure in brass with antique bronze finish and top surface in wood or marble. Available to order in a choice of sizes. Wood finish options: Oak wood in: natural, dark, smoke, or mocha tint. American walnut in: natural, dark or mocha tint. Grey sukupira, Rosewod, or Ebony. Marble options: Grigio striato elegante, Emperador dark brown, Nero marquina, Pilpis, or Calacatta. Top surface in wood or marble. See above.